Our Annual Preview Party! Special Pricing on Trials, Cupcake Tasting, and Photo Booth Fun! » Bridal Hair & Makeup Artist | Shear Hotness, LLC. Our Annual Preview Party! Special Pricing on Trials, Cupcake Tasting, and Photo Booth Fun! 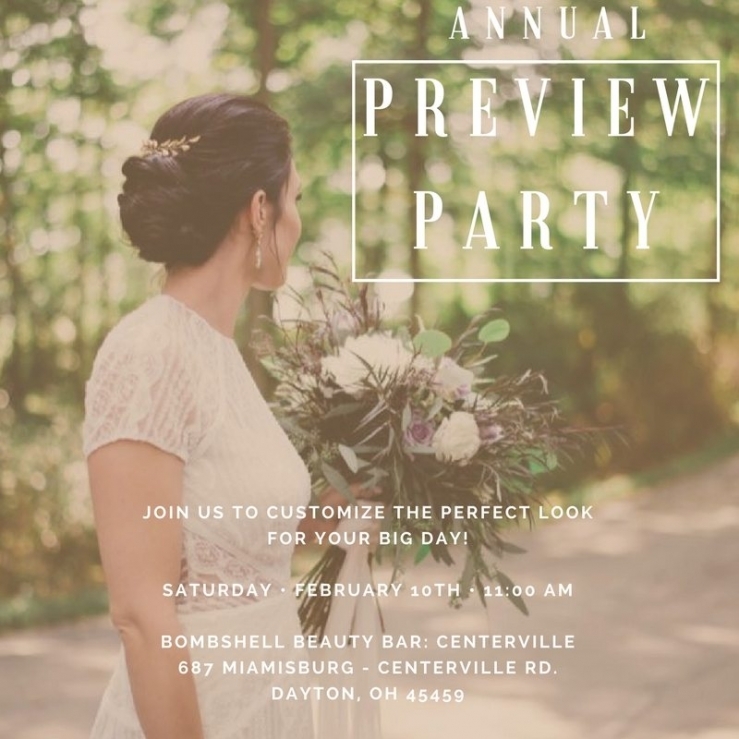 For ONE DAY ONLY, Shear Hotness, Makeup and Hair will be hosting our Annual Preview Party and Tasting Event on February 10th from 10a.m. – 5 p.m. We will be offering makeup and hair trials at 40% OFF! Also, our buddies from Frosted and JScoBooth will provide cupcakes/samples and a photo booth! How cool!? Our studio/office is located Bombshell Beauty Bar 687 Miamisburg – Centerville Rd. Dayton, OH 45459. Come experience Dayton’s award winning makeup and hair company! Refreshments, beverages, and fun will be provided! APPOINTMENTS WILL FILL UP, SO RESERVE YOUR SPOT NOW!! !